You are not logged in. 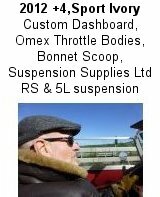 [Log In] Talk Morgan » Forums » Morgan Sports Cars » Classic Morgans » Modern Morgan dashboards..
7 registered (MOGSWE, meabh, vittorio, jr1952, JohnS, LightSpeed, Robbie), 59 Guests and 18 Spiders online. #558615 - 08/02/19 01:56 PM Modern Morgan dashboards..
As a S1 2005 Roadster owner I have the white dial dashboard with rev counter and speedo in front of me. As I am toying with the idea of swopping to a modern Plus 8 trad, the pictures of the dash with the speedo and rev counter in the centre of the car really put me off (and I would miss those white dials..). 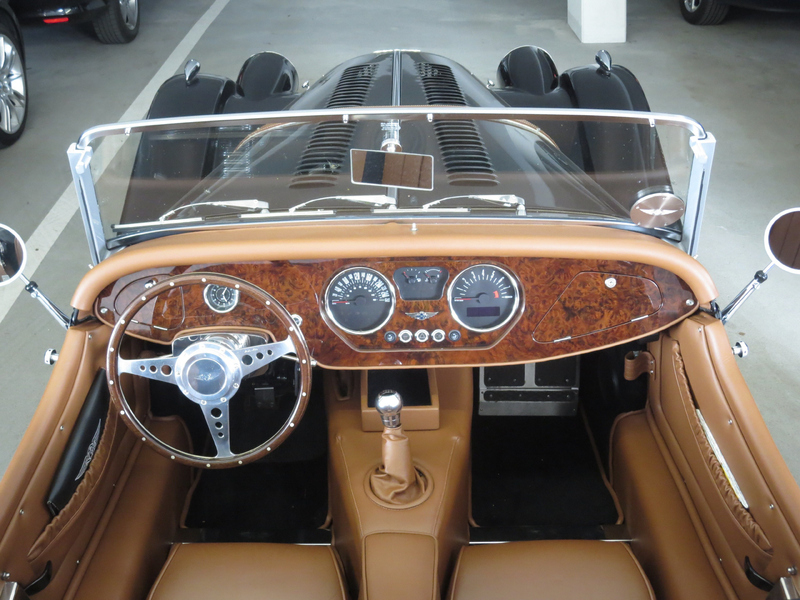 I am interested in what owners of these dashboards think about this.. perhaps they are great in the middle of the car without the rim of the steering wheel to get in the way.. or have Morgan been daft in sticking to this design? I had a GDI plus 4 and the speedo was the furthest dial away from the driver, without taking your vision away from the road it was impossible to see the speedo, also the small markings for the KPH were impossible to see, the plus 4 I had (2005 duratec) and Aero 8 had speedos in front of the driver so you could glance and see the speed instantly, unless you are racing why would you want the speedo so far away?? just one of the niggles I had with the GDI plus 4. 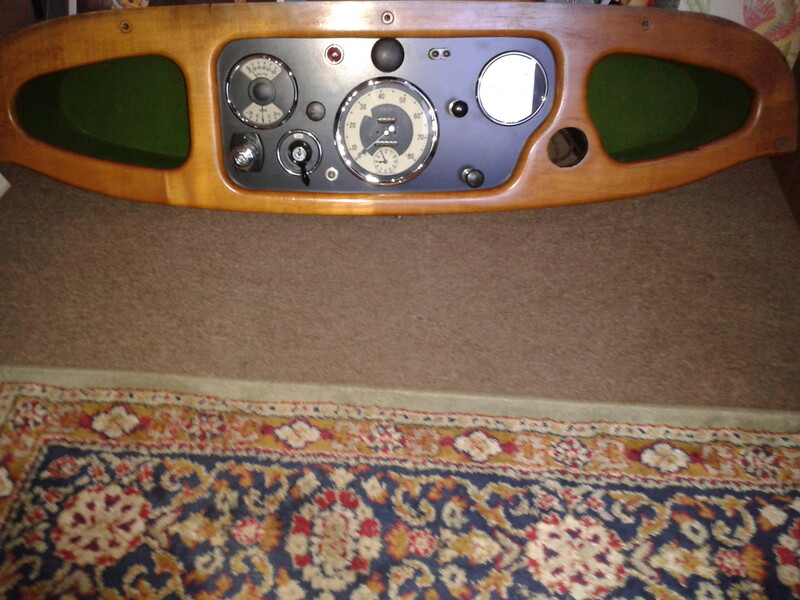 I'm sure the dials could be re finished in white or cream, I had a roadster dials re finished through my dealer in cream. unless you are racing why would you want the speedo so far away?? Perhaps because 70% of cars are exported? The speedo position used to vary depending on which model you owned. IIRC the 4/4 had the speedo nearest the driver and the +4 and Roadster the speedo was furthest away in RHD cars. I believe that the 3.7 Roadster instruments are a package from the Mustang and are set up for LHD. I can't comment on the latest +8. 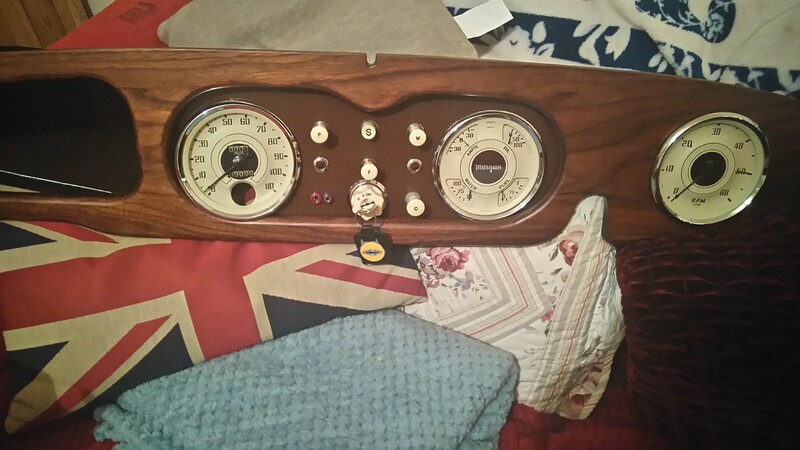 As Morgan is a bespoke car maker, you'd think they could make the dashboard to suit left or right hand drive, it's not as if the dashboards are bought in bulk from an outside supplier is it?? Borghi in Milan will do you a custom dash and probably even lend you a car while they do the work. Obviously can be done in right hand drive and a choice of wood variety etc. On my '76 4/4 the speedo was furthest left away from driver, with the quad gauge oil/fuel/amps/temp nearest with the tacho ahead of the driver. I suffer the Speedo being way over to the left on my RHD Plus 4. How easy (or difficult) is it to swap the Speedo with the rev counter which is at the straight ahead position? "...perhaps they are great in the middle of the car without the rim of the steering wheel to get in the way.. or have Morgan been daft in sticking to this design?" ie those of you that have this dashboard - do you love it? (and I would miss those white dials..). I have just had my DB7 changed to white dials for under £160. Excellent job. Let me know if you need the chap's address. My 2014 4/4 has the speedo furthest away from the driver and rev counter nearest. I have fitted a GPS speedometer on the steering column cowl. Cut the end off an old “Tupperware” box to give me a right angle tab which fitted the device and then used glue pads to fix it to the column cowl. It is glued on to a place where the glue residue will be out of sight should I ever decide to remove it. Power comes from a USB socket wired in to the radio circuit (and therefore switched on the key). Apart from the yellow... this is how it should be (have been) done in the last plus 8. I have a 2009 LHD Roadster, and have rev counter in front of me and speedo next to steering wheel. For a while I wanted to swap (which can be done on my car and would not be difficult a job), but I never did, as you get used to it. On highway, I keep constant speed by just checkin the rev counter. Never got a speeding ticket, just because I did not accurately enough could read the dials. There are solutions with a small digital speedo, for classic cars. One regret I have is fitting a clock, sits next to side screen. This gives an irritating glare in mirror and side screen, when driving at night. I have a feeling I will be in the minority here but I do not see what all the fuss is about in regards to where the speedo is on a trad. I read this a lot when I was waiting for my car and was nervous about it. Never thought of it again after the first drive. Gear and engine note tend to keep me in check and having to glance isn't any more 'dangerous' than adjusting the HVAC on a tin top. To the OP - Morgan Park do some amazing work. Well worth checking out their website. Oliver - I too have a Mk1 Roadster. I like the dials in the position they are but don't like the white dial's! My 4/4 Speedo is nearest the driver, it was already like this when I purchased the car at 10 months old from Williams Automobiles. I believe the V6 Ford engined 'Mustang' Morgans have to have this dashboard as it's also the only option, straight out of the Mustang with the associated inputs from the locked ECU... along with the 'rev-hang'! The best custom panel I've seen for 3.7 Roadster is this MK-Holztechnik version with extra glove box. They confirm main instruments cannot be re-located. Click for more. Unfortunately in this case both heater controls and trip computer have been re-located to the lower dashboard, presumably where radio is located. Can't see this working, for me at least. Love the tiny clock inside speedo Rob. Looks like your later car may have the same. I always understood that classic cars with sporty aspirations should have a large tacho in front of driver and smaller speedo to the left (RHD). Modern day motoring dictates closer attention to car speed however. Our modern Mini has both analogue and digital readouts but I find the latter by far the easiest to read. Makes a good case therefore to have an after market digital readout in front of steering wheel, on Roadster at least. "A boat only has to please its owner".. wise words from a sailing friend. White, Black, Old, New dials - it only has to please the driver and as PerryP said, once you drive you forget about it: too busy trying to keep the car on the road! Thanks for all the responses - fun to read.